The Town of Holly Springs recognizes that effective advertising is a vital component of running a successful business. 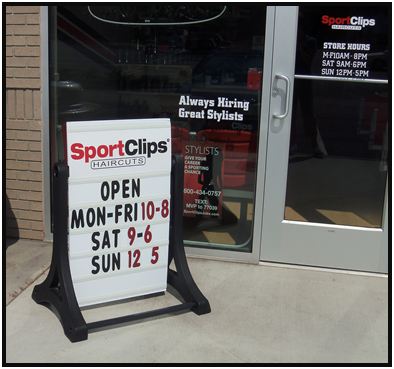 We have several temporary sign options available to assist you with marketing your Holly Springs business. Please visit our Temporary Signs page or contact the Department of Planning & Zoning to learn more about all of the advertising options available to you. 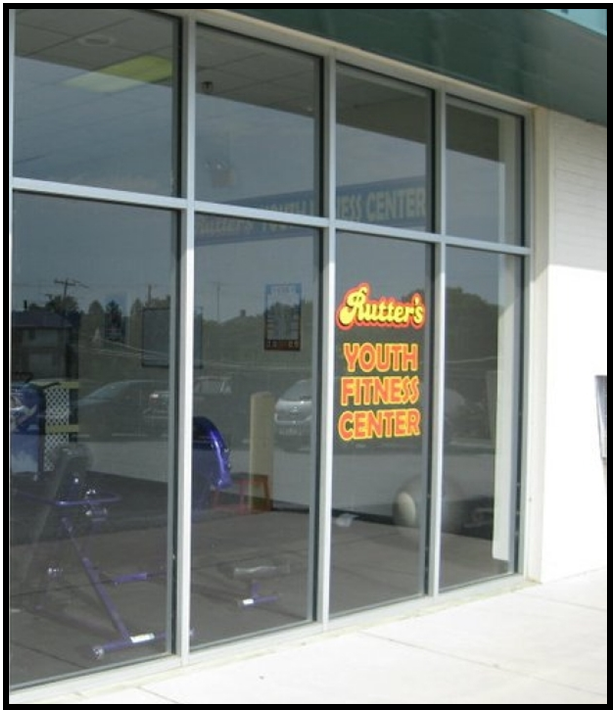 Window signage can cover up to 25% of your windows. A window sign is any sign placed inside of and within two (2) feet of a window or on the glass. In commercial zoning districts, one (1) illuminated window sign is allowable with a maximum size of four (4) square feet and shall not blink, fade, or transition. A portable A-frame, T-frame, menu board, or sandwich board sign up to six (6) square feet in sign surface area with a maximum height of four (4) feet can be placed within ten (10) feet of the main customer entrance of your Business. This type of sign can be displayed during business hours and cannot be placed in any public right- of-way. For outdoor seating areas, umbrellas are allowable without advertising of your establishment, sponsors, or products. Special regulations are in place to help you get the word out that you are open for business! There are special options for signs applied for within thirty (30) days of opening. For more detailed information regarding Grand Openings contact the Department of Planning & Zoning. Staff is always available to assist you. Special temporary sign permits are available for grand openings. 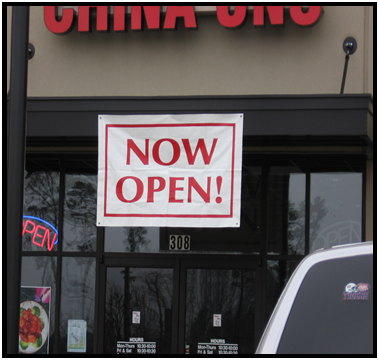 Depending on your location, Grand opening signs can be either a wall sign or ground sign. Please call the Department of Planning & Zoning for additional information on size and placement. Grand Opening signs can be displayed for forty-five (45) days. Apply for the permit prior to installing grand opening signage. For grand opening signs, the Town waives the permit fees. There are many options for temporary signs that can provide your business with better visibility. These types of signage requires a permit prior to placement; and, there is a nominal review fee associated with these permits. Download our easy to complete permit. With proper permits, a temporary sign can be placed on a parcel of land or building wall of a tenant space in connection with development, construction, sale, or leasing of a project or tenant space. This temporary sign is allowed for thirty (30) days in advance of development, construction, sale, or leasing and shall be removed within fifteen (15) days after the end of development, construction, sale, or leasing of the project or tenant space. A business can apply for a temporary sign permit four (4) times per calendar year. Each permit is good for twenty one (21) consecutive days. There must be a thirty (30) day separation between each occurrence. 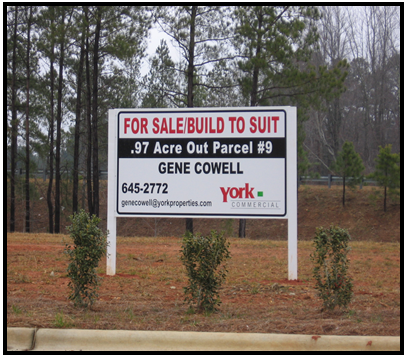 The size of the sign and the placement of the sign varies by zoning district and development. Please contact the Department of Planning & Zoning for additional information on signage opportunities for your location.